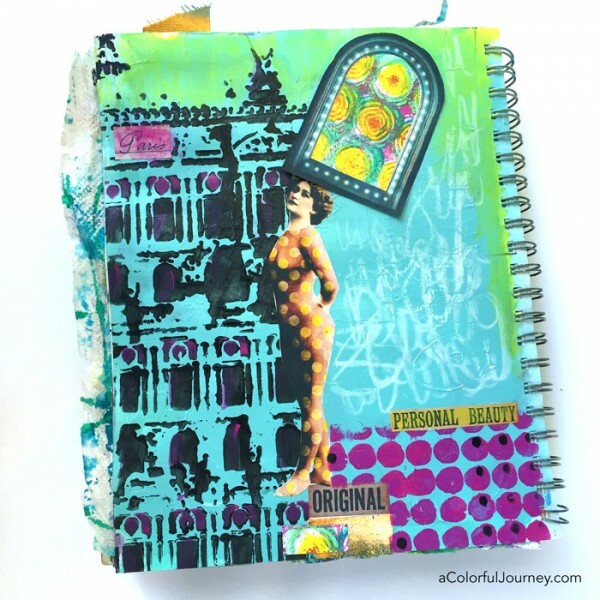 It was a “P” day in my art journal….not only play but pink & polka dots & Paris! The bones or structure of this page has some color on it but not nearly enough for me. And along the way, I made a new friend, Phil, who was very helpful with the polka dots…which infected me with Polka Dot Fever. 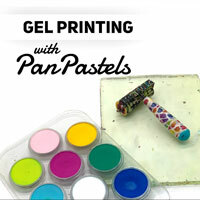 In the video, I’m sharing how using a stencil twice makes it easy to add to touches of color here and there and everywhere…turns out Polka Dot Fever increases the need to rhyme. 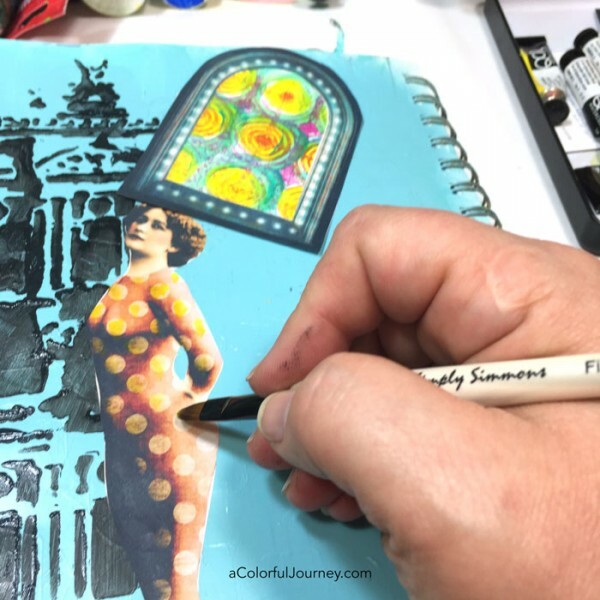 Watch Paris Polka Dots Art Journaling Tutorial Part 2 on YouTube. 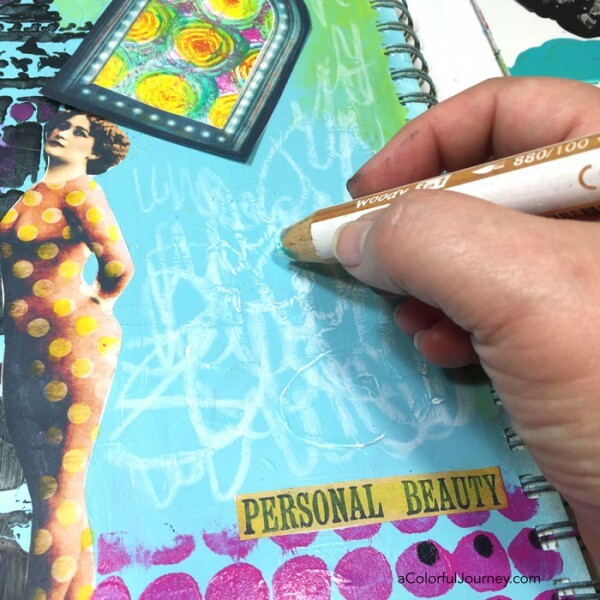 You can see how this page started in this post using some fun images from Tumble Fish Studio and Hidden Vintage Studio and a gel print. 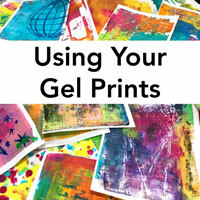 You’re probably wondering how that gel print was used to start this page since you can barely see it in the finished one. 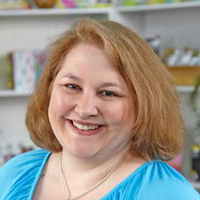 Check out last week’s post and you’ll see how it all came about. I ordered a bunch of brushes but apparently hit the wrong button because I ended up with a bunch of filbert brushes, which were new to me since I usually use a flat brush. But it was an Outstanding Opportunity Presenting Suddenly because I am in love with these brushes I now affectionately call Phil. Phil was just perfect for watercoloring in her polka dots. Polka dot fever, which sounds a lot like a medical condition for artists, had overtaken me by this point. 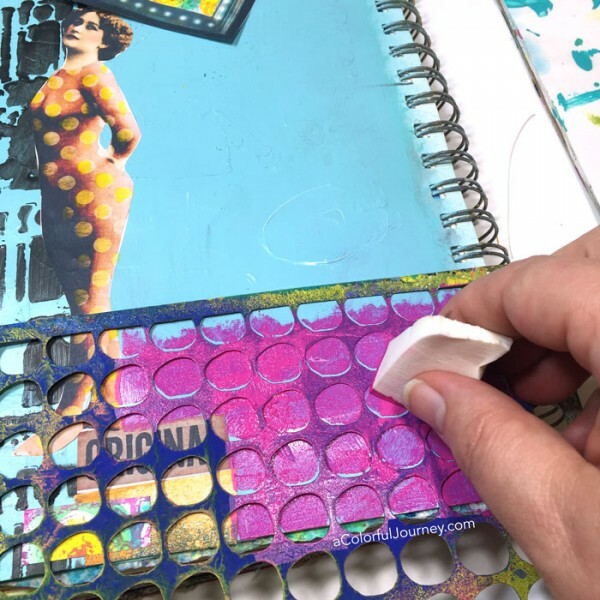 The Circles Layer Me stencil has 2 sizes of dots that can be layered on top of each other to create a plethora of pattern possibilities. In the video, you see how you I customize the pattern to the mood of the page. The pink was a bit addictive for me so I added touches of it back onto the building by putting the Opera House stencil back on the page and selectively stenciling the windows. That green you see at the top of the page…it wasn’t green paint…it was yellow. Yellow and blue make green after all! A final touch of scribble journaling and my thoughts were captured on the page. After all, couldn’t leave any blank spots! 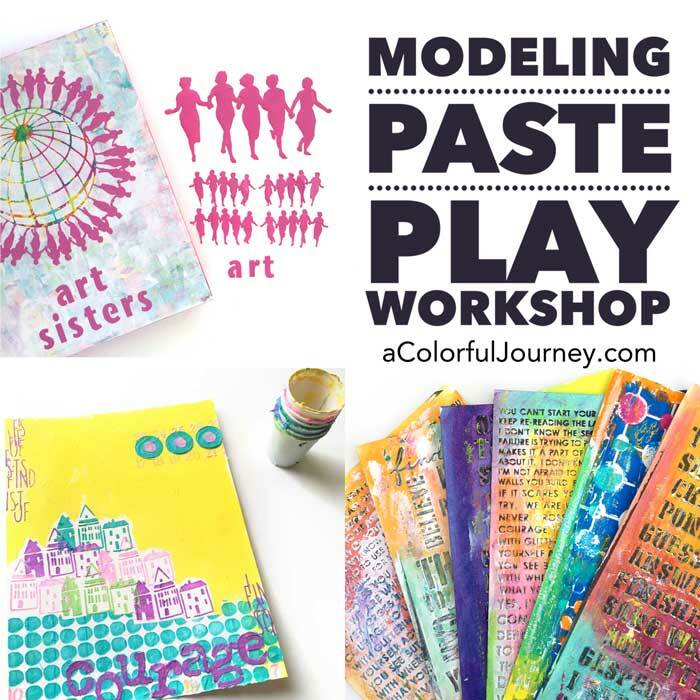 Want to know more about art journaling from how to start a page to easy color theory for using the rainbow to how to deal with ugly pages – then check out my Art Journaling FUNdamentals workshop and join the play! Too much fun! 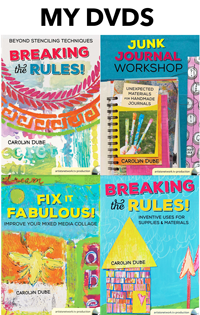 Love your bright colors and this playful page. 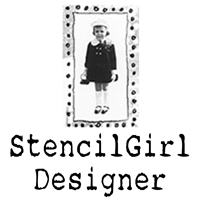 Dots – Dots and Circles – Carolyn dot/circle stencils are my favourites for filling in – I have lost count of how many I have and I am still buying more!!!! 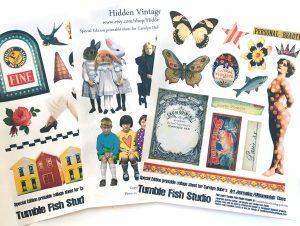 Tumble Fish – Retirement Sale finished 18th Sept – so looking for alternative image sheets.